Behind Green Eyes: 30 Before 30 - #1 Introduction & Franken. 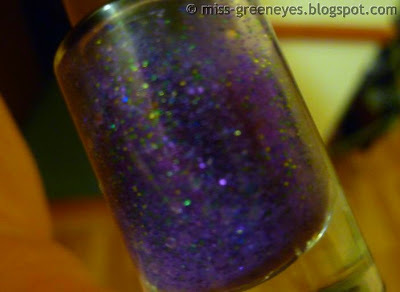 This isn't a standard nail polish, craft, music or book post so you're welcome to skip it if you want, but I just really wanted to do this! Next June, I turn 30. I look at all the things I have achieved in my life so far and I'm happy - but there are so much more things I want to do. I don't know how 30 got so close without me realising, I suppose I still think I'm a teenager - I certainly don't feel like an adult yet, despite being the mother of an 8 year old and being married! One of my favourite blogs is Breige's over at Rare Opal, and I was so inspired by her "25 before 25" series that I knew I wanted to do something like that before I turned 30. I'm desperate for lapsing into daydreams and wishing half the day away, and this time I want to actually make things happen for myself instead of sitting here thinking "maybe one day..." so, I've decided to do a "30 Things Before 30" list. I'm going to make a separate page on the blog for it, and I'll do a little post every time I tick something off. I'm really looking forward to it, and if you can think of any way to cross something off the list, please let me know! 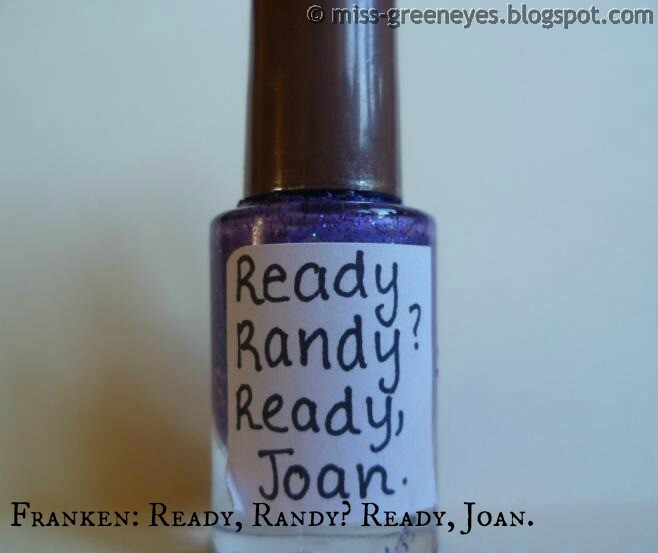 7: Franken my own nail polish. We all know about my obsession with nail polish names, and in the absence of a proper Buffy the Vampire Slayer collection, I decided to franken my own. I got an old Essence Colour & Go clear nail polish, an old Essence purple eyeshadow, and a crapload of Hong Kong's finest glitter courtesy of eBay. A paper funnel, a good ol' shake, a bit of acetone to take the labels off (and the entire silver colour off the cap) and what do you get? I'm not giving up that easily, though - a visit to the bargain Essence colour & go basket is in order and I will make an acceptable franken if it kills me! I'll post regular updates on my "30 Before 30", feel free to ignore as many of them as you want to! Oh my god I'm making the same list, turned 29 in October and want to set a list of things to achieve for myself before the big 3-0! I've made a few myself and liked how they turned out but I'm dying to try some more! 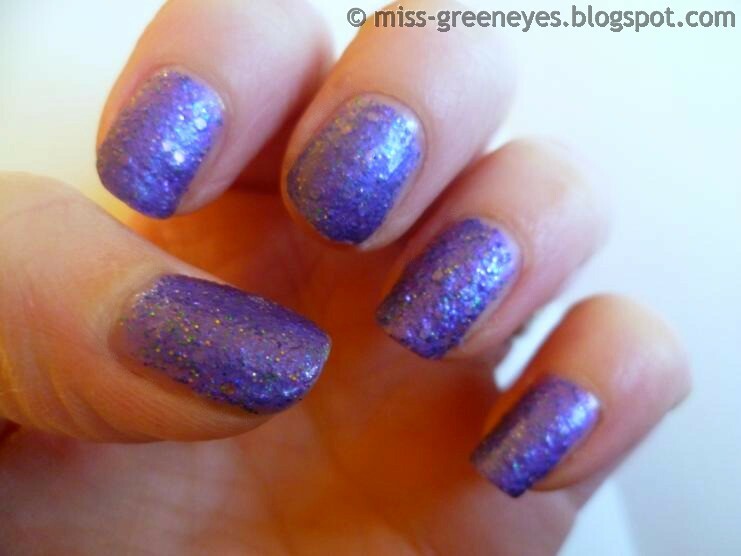 If you put some clear polish over it would you be happier with it? It looks fine apart from being a bit bumpy!